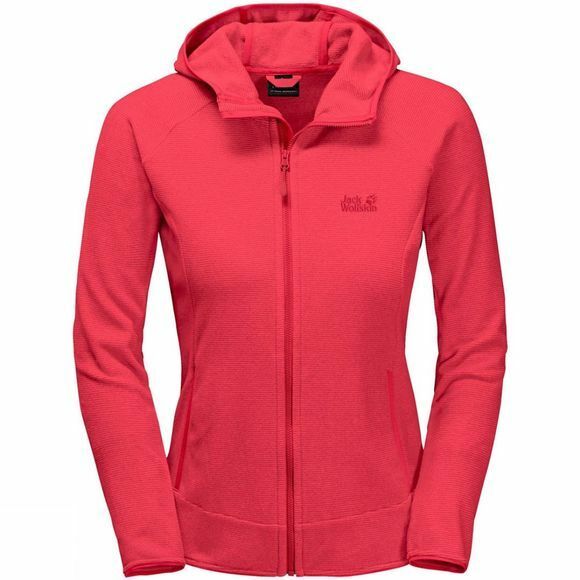 When you're up on a ridge or taking a break, the Womens Arco Jacket from Jack Wolfskin provides you with a little extra insulation. The fabric is very breathable and dries fast. This makes the jacket suitable as standalone option for milder temperatures or a warming mid layer in a layering system.